Get to know Greater Fort Lauderdale from an insider’s perspective—and avoid decision overload—with a tour or sightseeing cruise of the area. Choose from boat tours on the Intracoastal Waterway and Atlantic Ocean, or tours on wheel and foot where you’ll get to know local restaurants and attractions and maybe even learn something about Florida’s history and nature. Whether you want to explore on a yacht, Water Taxi, helicopter, paddleboard, gondola, or bicycle, there’s a tour that’s just right for you. If you’ve ever wondered who owns the million-dollar beachfront properties or why there is a colonial mansion in the heart of a small neighborhood, then a bike or Segway tour is the best way to find out. Segway Fort Lauderdale and Bumble Bee Bike Tours feature multiple-hour tours around the waterways and promenades. These tours are led by a knowledgeable staff that will keep your day in the sun fun and light. There will be architecture, mansions, and historic locations. All you’ll have to do is sit back and enjoy the ride. 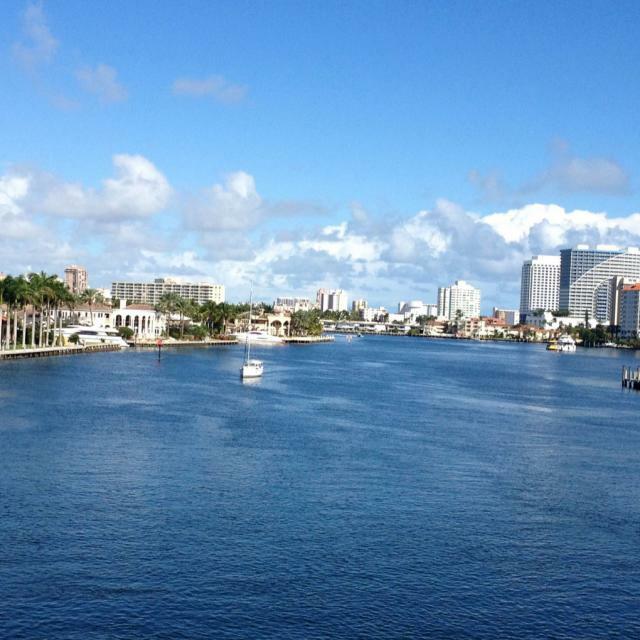 The unique landscape of Greater Fort Lauderdale features an abundance of waterfront with waterways winding through the area, earning it the nickname “Venice of America.” Kick up your feet for a floating tour, relax, and take in the city with Carrie B. Cruises. You’ll be escorted around waterways in air-conditioned, indoor decks where you can spy on homes of the rich and famous and learn about the history of the region. Embark on a sightseeing adventure with Jungle Queen Riverboat and you’ll have several cruises to choose from. The family-friendly dinner and show option will take you to a private island where you can feast on barbecue ribs, chicken, and shrimp, and enjoy a night of live entertainment that’ll having you laughing out loud. You can also opt for the Afternoon Tropical Isle Sightseeing Cruise and take in a daytime alligator show and check out the lemurs, monkeys, and exotic birds. Riddled with alligators, panthers, and pythons, the Everglades are no ecosystem for the novice explorer to traverse alone. With so many inlets and tall grasses, anyone but an expert can get lost in minutes. Luckily, the pros at Everglades Holiday Park/Airboat Tours have you covered. With 60-minute tours and alligator presentations performed by the Gator Boys from Animal Planet’s hit series, you’ll feel at home in the Everglades in no time. Scrubland Tours also offers tours through the wetlands via kayak, bicycle, or airboat. The best way to try all of the most delicious restaurants in town is to join a food tour. Experienced locals find all the hotspots and, in the case of Experience Las Olas Food Tours, you’ll visit six locations in three hours, including historical information on your destinations. Fort Lauderdale Food Tours introduces local dishes with Mediterranean, Spanish, and Caribbean influences. It’s the ultimate way to get to know the food in this region in one afternoon. Vacationing is all about having fun, and this might as well be the motto at Fuddled Frog Tours where they host paddleboarding and kayaking tours, party bus pub crawls, camping, hiking, and so much more. This is the tour for you if you’re looking for a bit of grown-up entertainment. On that note, you’ll want to check out Funky Buddha Brewery for a tour of their 19,000-square-foot and 30-barrel brewhouse. This is South Florida’s largest brewery, so come thirsty.